Sealant and adhesive dispensing is required in the automotive industry for affixing or sealing door panels, windows and other interior/exterior components. These materials are typically dispensed in the body shop using robotic arms. Sealants and adhesives are generally very abrasive, viscous substances with high solid content. They are dispensed in very small quantities under high pressure conditions up to 6,000psig. In these applications, which can either be automated or manual, pulses from a flow meter are supplied to the control system in order to precisely dispense the correct amount of material. In order for a flow meter to be effectively used in sealant and adhesive dispensing, it must provide fast speed of response, high resolution and excellent repeatability. 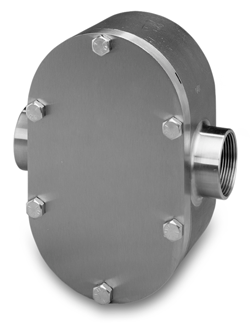 Flow Technology’s innovative positive displacement flow meters meet these requirements and more. The rugged thermoplastic impellers can be serviced in-line for easy maintenance and less frequent downtime. Our PD meters have much lower pressure drop than competitive designs, and provide more precise measurements.